We are hardly working to present the 3D model of the retired steel factory departments - "The Lower Area Vítkovice" in Ostrava city. This former Steel factory was in the past a part of the Vitkovice steel. The object is part of the European Cultural Heritage. The pupils of the Elementary School Dana & Emil Zátopek are modeling the objects in Trimble SketchUp. We have a 15-member team in the age range between 12 and 15 years led by IT teacher and by our graduates (David Hotař and Ondřej Vaňka), who are involved in the project. During the first phase, we had to gain knowledge of steel works department so the students get point of view in construction details. SketchUp is good for young pupils to create the fast prototype of the model. During November 2013 we visited the Vitkovice area and took many photos and saw the real model. After that, we had to distribute work instruction and source files among them. During Christmas, we were modeling THE VITKOVICE AREA. Now we are starting to model it in Cinema 4D so we will be able to create more professional animation and prepare models for Quine Engine in which we would like to create a realtime render of the scene. 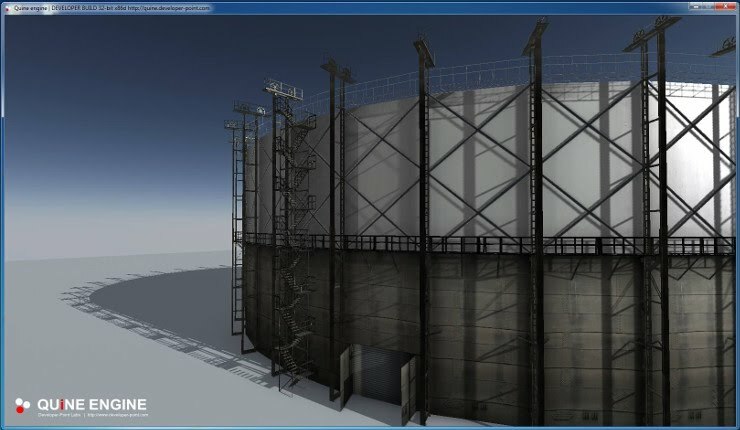 Together we are thinking how to publish our model in our sites (http://vitkovicearea.com/en - under construction). We subscribed our model to inGenious Competition and hope for success. We are planing to print models on Prusa 3D Printers.